So, BIG news! I now have an Etsy account! Link Below. I’m excited to be offering limited editions of two lovely watercolor giclee prints of my work. Check it out! 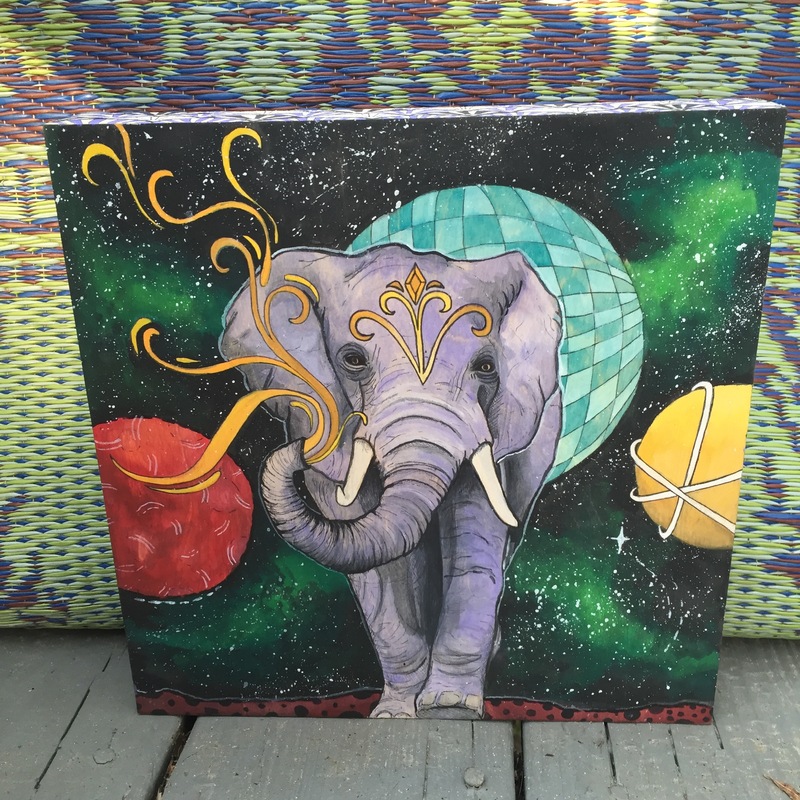 In the spirit of big, here’s a space elephant that I really enjoyed working on. 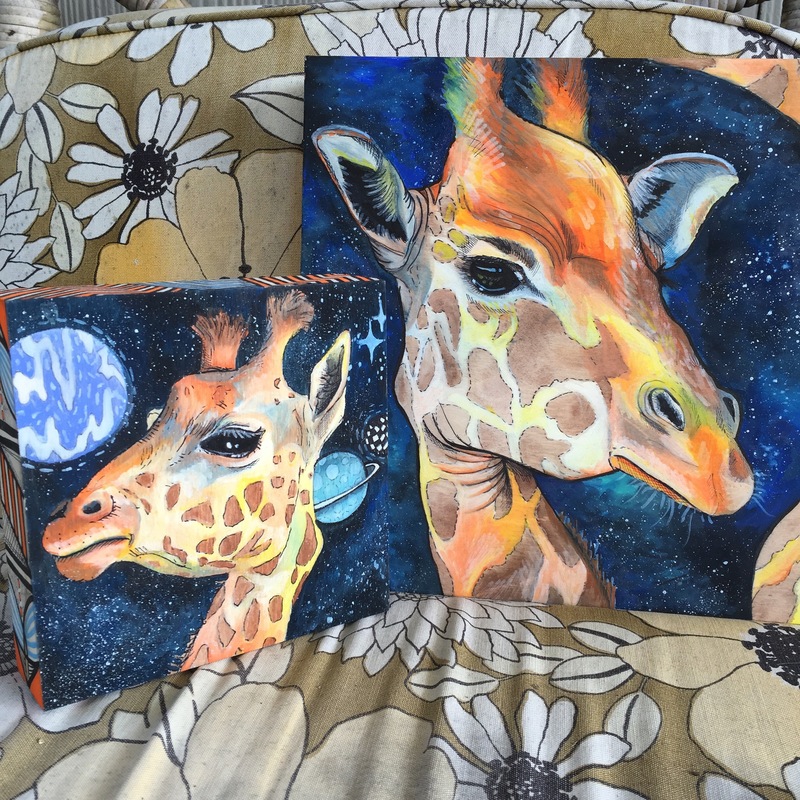 And because I also love little things, Below is a picture of a mini giraffe panel that I made for a client who couldn’t quite afford the larger panel, but really wanted a long-necked space dude of her own.